2019 Update: Lima has so much to offer, being one of the largest cities in South America and with a long history behind it. If you’re only here for a short amount of time and looking for something to do, here are the 10 Best Things To Do in Lima in one day! 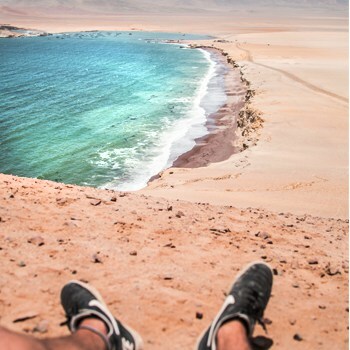 If you want to escape Lima for just a day, check out our DAY TRIPS FROM LIMA, where you can see sealions, penguins, sand dunes and even a unique Desert Oasis, all in just one day! 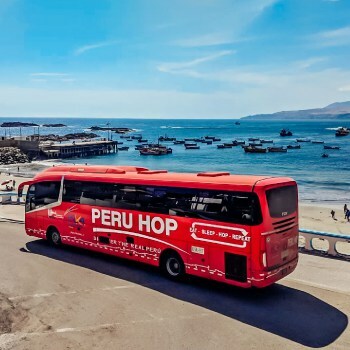 QUICK TIP : These destinations located just outside of Lima are easy to reach with Peru Hop. They say the best way to truly discover a place is through the eyes of a local and Lima is no exception. Explore the capital city with Free Walking Tour Lima where you’ll experience the culture and history that led to present-day Lima. Tours depart daily at 10:15 am (except Sundays) from the Tourist Information Center located in Miraflores. From there, the tour heads off to the historical center of Lima to some of the most renowned spots in the capital city where the guides explain, in detail, the history of each of those places. Spend a sunny day relaxing in the only hostel in Lima with a pool. Nothing better than spending a day Located right in the heart of Miraflores, it’s the perfect place to relax with a couple of drinks or a tasty plate from the hostel’s food menu. It offers drinks specials as well as counting with friendly staff and great atmosphere every day making it the ideal spot to spend the morning/afternoon. Go around Lima on one of Mirabus’ panoramic buses and enjoy the view of the city while learning about its history. You can choose to either sit on the first floor to have a more peaceful experience or on the second floor to see more of the capital. 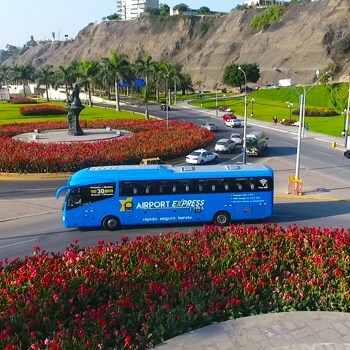 Tours are daily (day & night) and all of them depart from Parque Kennedy located in Miraflores. You can choose from visiting the historic center at day or night, discovering Pachacamac also known as Lima’s Machu Picchu and much more! Parque de la Reserva is a beautiful park and a nice place to visit during the day but at night this park becomes truly magical. Once night time comes, their famous fountains light up and make for a truly spectacular sight. The entry fee is 4 Soles and it is well worth it to see these beautiful lights. If you are only spending one day in Lima, the fountains are the ideal choice for you. This shopping center is one the most popular attractions that travelers visit when they are in Lima. It is located in Miraflores, one of the nicest neighborhoods in Lima. Built into the side of the cliff and mostly underground, this mall makes for quite the sight. It has incredible views of the Pacific Ocean and is perfect to spend an afternoon shopping for some great Peruvian Gifts and Souvenirs. It has some of the most exclusive shops in all of Peru as well as restaurants and bars. Great place to treat yourself while in Lima or to enjoy the view of the coast during the day or night! With its green parks and the cliffs overlooking the ocean, Miraflores is also the perfect place to go for a bicycle tour. These eco-friendly tours can be booked in the mall, in Larco Street and online on FindLocalTrips and they will take you along the Cliffside. You can take a tour into the center of the city, along the cliffs, do an urban tour or even combine your cycling trip with surfing! Prices range between $30 and $70 for a few hours or a full day depending on the tour you take. Definitely check out the different packages to find the tour that best suits you. Apart from being a great spot to spend the day in, Pool Paradise hosts great parties at nighttime. Don’t let the picture below fool you, that’s just the start of the night! As it goes on, more drinks start flowing, happy hour gets underway, the beer pong tournaments begin, and free shots start rolling creating the perfect place to party. Entry is free for everyone, most nights have an event going onFriday and Saturday are when the bigger parties are held but weekdays are just as good. It tends to be open until 1-2am and from there everyone is given bracelets to some of the best nightclubs in Miraflores to finish the night dancing. If the view of coast of Miraflores, Barranco and San Isidro is beautiful from sea level, imagine having a bird’s eye view of the whole thing! Not as extreme as it sounds, paragliding by the coast is the perfect day activity to catch the green areas, ocean and the urban buildings of Lima’s coast with a 360° view. This district is probably the coolest place in Lima and the perfect escape from Miraflores for a couple of hours. 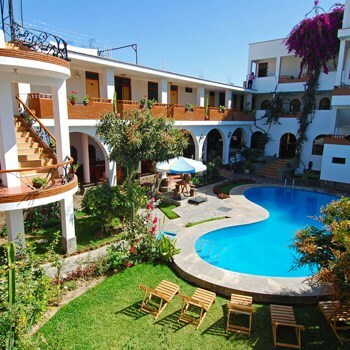 Barranco has great historical architecture and a blooming art scene. At night, Barranco transforms into Lima’s party district with great restaurants and themed alternative bars for Peruvians and foreigners alike. One of the most interesting places to see, is Puente de los Suspiros. This bridge lies in the main part of the district where it connects two main streets. It is said that if you can cross the bridge while holding your breath, your wish will be granted. Another great location is the MATE museum that was founded by famous Peruvian fashion photographer Mario Testino. Located in a restored 19th century mansion, the museum exhibits the best of national and international contemporary art and photography. The museum offers guided tours, workshops and talks. A great way to get around this wonderful place and ensure that you see as much it as possible is with a Bike tour of Barranco. 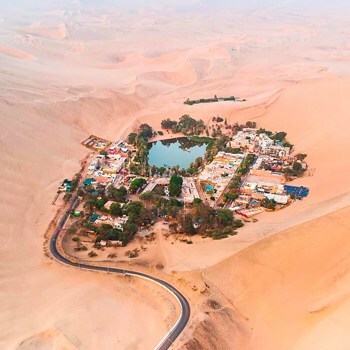 Fancy discovering a unique desert oasis? 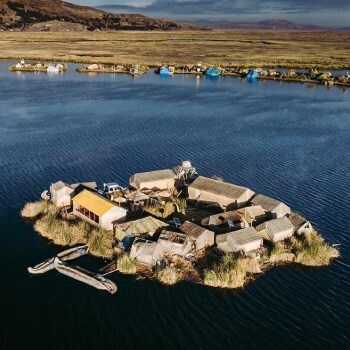 Or the “Poor Man´s Galapagos” full of sealions and penguins? 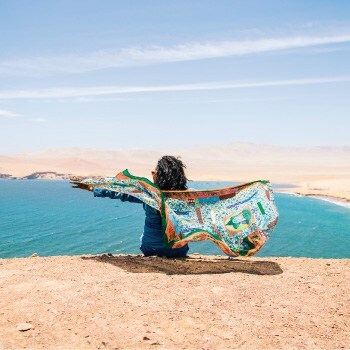 Take a short round trip from Lima to Paracas and Huacachina. 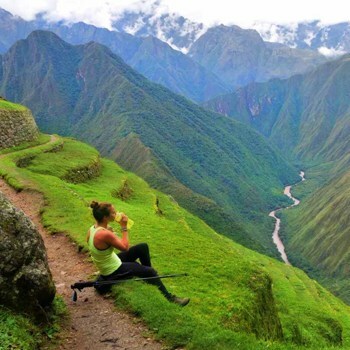 Escape From Lima run 1 day, 2 day and 3 day short round day trips from Lima and are a great way to see and do a lot whilst basking in the all year round sunshine that exists south of Lima. The places above are just a handful of activities and places to visit, in reality there are many more. Lima can seem like a difficult city to navigate – it is! So make sure you look up where to go and how to get there. Lima is big, chaotic and every district has its own identity and charm. One of the best features of this enormous capital, is its high cliffs and views over the Pacific ocean. Even if you are only spending one day in Lima, there is always something to discover in this wonderful city. DID YOU KNOW… If you have a few days in Lima, don’t miss these day trips located just a few hours from the city.